So yesterday you used all those awesome apartment hunting tools to find some apartments you like, now it's time to get into the nitty gritty. I know I said we'd talk about moving out tips but I left out something super important. Negotiation. There are people out there who don't care about things like what color the walls are and who think you're nuts for fixing up a place you may only live in for a year or two. I am not one of those people. As a person who LOVES the thrill of renting a new place and coming up with new ideas, I think everyone should put their personal stamp on their apartment. No, you don't need to blow money on expensive, time-consuming improvements and you don't have to be a designer. But you should surround yourself with things you like so that when you come home at night, you're happy to be there and when you have people over, you're proud, not embarrassed. Whether you hang a few pictures, buy a gallon of paint, or buy a piece of furniture that you like, just do something that makes you happy! Our first apartment together. 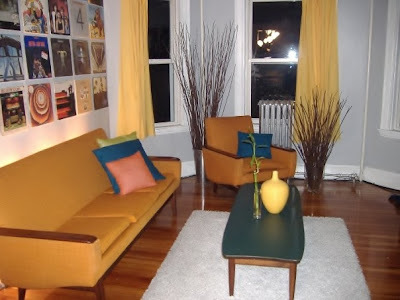 We went with a soft grey for the living room but punched it up with bright furniture and records on the wall. That said, some landlords are a little touchy about tenants personalizing a place. Many of them have had tenants before that were anything but careful and left the apartment full of nail holes and paint on the ceilings. If that's the case, do your best to ease their fears. Let them know you're responsible and give examples of past work if necessary/possible. When negotiating, don't be pushy. The last thing you want to do is start out with a bad relationship. It's still their apartment so they have a right to say no. If you're really passionate about something and the landlord won't budge, consider alternative solutions like hanging things with removable 3M strips instead of nails or adding color in your furniture instead of on the walls. Still not happy? Move on to a different place where you'll have a little more freedom. I've done this before when landlords wouldn't let us paint. It sucked at first to let go of a place I liked but in the end, I was ten times happier when I found another apartment I loved that I could also make my own. If your landlord is great about letting you express yourself then awesome, you can skip this post. Either way, make sure you let them know how appreciative you are and don't take advantage of their generosity. Painting - If painting an apartment colors you like is important to you, ask the landlord if painting is allowed BEFORE leasing the apartment. I've fallen in love with apartments only to be told that the landlord doesn't allow painting of any kind. Thankfully we didn't sign the lease so I was able to back out. If the landlord is on the fence, offer to paint the apartment back to a neutral color before moving out. 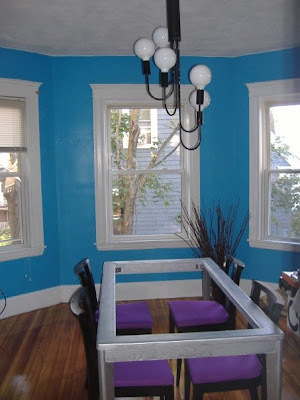 You can also ease their minds about your painting skills by showing them pictures of your last apartment if you painted, that way they can see your work...most landlords don't mind the actual paint colors so much as the horrible paint job that some people do, getting paint allover the ceilings and trim. I've also run into landlords who let you pick the color as long as a professional does it. If they foot the bill for a pro, awesome. If not, check group deal sights like groupon.com and Living Social. They always have discounts up for painting services. Our Boston landlords were happy to let us paint our once-neutral apartment as long as we painted back in the end. They even reimbursed us for the neutral paint at move out. Fixtures - I've seen some tacky apartments on craigslist. Gold fixtures. 80's wallpaper. Sea shell toilet seats. Um, no. Other times, it's not so much about tackiness as it is efficiency...our bathroom has a small bird bath sink with no room to put the soap. Not cool. Instead of letting it bother you, check with the landlord to see if it's an improvement they'd be willing to make. Don't be afraid to ask. Often, landlords have things on their to-do list that they just don't get around to. They're human too after all! If they think you don't care, they most likely won't bother to fix it, so make sure you put in your two sense. We asked our landlord if we could add shelving in the bathroom for toiletries and a small shelf above the sink for the soap. Not only did he say okay, but he installed the shelves for us and we didn't pay a dime!! If it's a fix you know how to do yourself, ask if they'd be fine with you doing it. In some cases, they may be willing to pay for the cost of materials. If it's a temporary fixture that you plan on taking with you when you leave, like a light, store the original in a safe place with all its parts so you can replace it when it's time to move. I hate the ceiling fan in our kitchen but my husband didn't think our landlords would let us change them out for a pair of vintage pendant lights. I asked anyway and got the go ahead. Yea! Now all I have to do is find the perfect lights and I'll have the kitchen I want. Originally the trim in our bedroom was unfinished pine but our landlords let us paint it a neutral white that would stay even after we left. Reduced Rent - This doesn't have anything to do with reduced rent but falls under the negotiation umbrella. At our last place in Boston, we were able to reduce our rent by mowing the lawn. Though our landlords already had a landscaper to keep things looking nice, letting us take care of the weekly lawn mowing saved them big bucks. We only earned $25 for each mowing ($75-$100/month) but it was better than nothing, the lawn wasn't that big, and it was an excuse to get outside and walk around for a bit. Win-win all around! If you're a hands-on person, you may be able to negotiate similar deals in return for your handiwork. Our first apartment together. I fell through the glass top of this table hanging this light in the dining room but it was all worth it to get rid of the ugly wicker basket cover that was there originally! So, your landlord said yes. Awesome!! Now it's your responsibility to do a good job and not start projects you can't handle. Don't forget that you may have to put things back when it's time to move. No landlord wants to get stuck with bright red walls when you said you'd paint them back or tons of nail holes in the wall. Yes, your security deposit is for fixing mishaps and mess-ups but that's worst case scenario. A good renter is a renter who leaves the place in good condition with only reasonable wear and tear left. It's the irresponsible renters who make landlords uptight and paranoid. Don't ruin it for us all! Our last apartment. The landlord let us do black walls as long as we agreed to paint them back. The couple moving in liked the walls though and asked us to leave them black. Awesome! 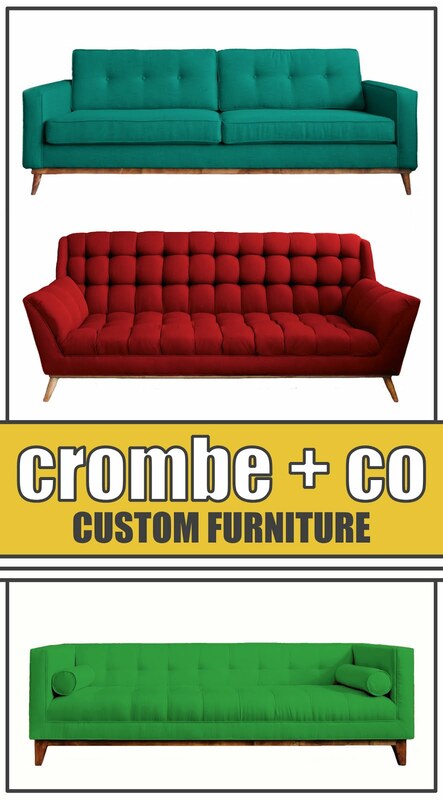 I enjoyed your photos and insightful apartment hunting/decorating tips!